The Monterey Museum of Art invites families to explore, create and play in the galleries free of charge. 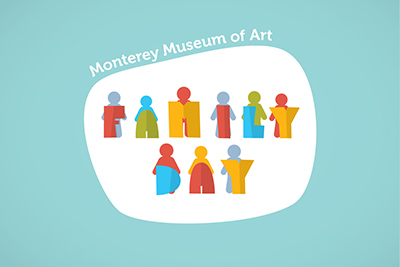 As part of the MMA’s commitment to reaching children and families throughout Monterey County with accessible cultural experiences, the Museum offers a full slate of educational art activities for all ages designed for fun, learning and connecting with art and community. Admission is free. This Family Day is inspired by the current exhibitions, Lasting Impressions: Pedro de Lemos and S.C. Yuan. 11:30 am: Experience Puerto Rico with Luna Rhythms! 1:30 pm – Experience Puerto Rico with Luna Rhythms! Snacks by Room for Dessert available for purchase all day. The Monterey Museum of Art–La Mirada offers limited on-site complimentary parking. Additional complimentary parking located at Monterey Peninsula College Lot A. With limited street parking, please be considerate of our neighbors and observe City of Monterey No Parking zones.